During training seminars, I am often asked to compare the role of the product manager with that of a sales engineer. People look at the Pragmatic Institute® Framework™ and see boxes for channel support including going on 'special calls,' providing seminar and trade show support, and so on. Aren't these jobs for sales engineers? How should a product manager support the sales channel? sales engineering helps individual sales people. Product managers should create sales tools and marketing programs that assist all sales people, not to mention creating new products for the channel to sell. So, product management supports sales channels; sales engineering supports individual sales people In fact, many companies would be better served hiring fewer product managers and more sales engineers. The sales channel needs an adequate number of skilled sales engineers. 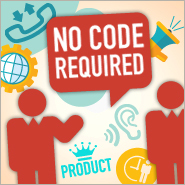 If they are not available or not respected, the sales channel will rely on Product Management to fill the gap. A product manager is responsible for the business of the product. Read more about this subject in my 'Role of Product Management' article, featured in Volume 1 Issue 2, June 2003, of productmarketing.com. Defines the process for getting the product to the market. In no other industry do we see product (or brand) managers supporting individual sales efforts. Sales engineers (SEs) are the technical glue of a technical sale. Sometimes called 'systems engineers,' 'pre-sales support,' or 'field consultants,' SEs act as the sales team's technical encyclopedia during the sale, representing the technical aspects of how the product solves specific customer problems. They perform technical presentations for the product. They own the demonstration script for the product. With adequate staffing of trained SEs, Product Management does NOT go on sales calls and customer demos. Then why is it not working this way? We see three common problems with sales engineers in high-tech firms: SEs lack technical skills; there just aren't enough SEs; and the SE is wasted early in the call so a sales person needs a 'bigger gun' for later sales calls. Let's examine each of these problems. Problem: Sales people cannot get an SE. Often, sales people ask for deal support from Product Management simply because there are not enough sales engineers to go around. Well-run sales channels typically have one SE for every two sales people; many have 1:1. Yet the companies that report product management providing excessive support of the sales channel usually have 5:1 or more. And guess what happens? In the absence of an adequate number of sales engineers, product management must step in (or gets dragged in!). One expert in sales engineering observes that roughly 30% of SEs do all the work. These 'best SEs' have won the respect of the sales people and are in constant demand. That leaves 70% that are on staff but are not being used. Imagine their frustration at seeing product managers on calls that rightfully should be theirs. Solution: train the 70% to be effective. Companies normally train sales engineers in sales methodology by having them attend sales training classes with the sales reps. In other words, they are trained to be sales reps. But shouldn't they be trained in how to be good sales engineers? New (or under-utilized) sales engineers should have a mentor, a senior SE, who can show them the ropes and teach them the skills to effective. How much more productive would the sales force be if there were three times as many engineers? 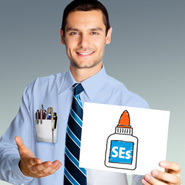 Problem: Sales people don't like the SEs. How often have you heard sales people requesting a specific SE or product manager because the others are 'worthless'? In many cases, it's because the SE role has changed over recent years from product specialists to technical generalists. Many sales people start using a particular SE and want to use them for all calls. They find that they work together well as a team, except the SE doesn't know all the products. As a result, they encourage the SE to learn the rest of the products. What was once a product specialist quickly becomes a technical generalist, someone who can explain and demonstrate technical products but doesn't have intimate knowledge of any specific products. Solution: Sales Engineers need to return to their technical roots with specific product expertise. The best way is to divide your products into logical product families, and assign SEs to work in only one product family. The SE manager should define a training plan that maps product demands to existing skills sets to ensure that adequate skills exist across all product lines. Rather than acting in a generic technology role, these SE product experts can 'go deep' on a product or line of products while having a general understand of all products. Consider Microsoft. They have different families of products: Windows operating system, Office, Business Solutions, Servers, developer tools, Games and Xbox video game system, and MSN Internet Services. Can any one SE support all of these? Of course not! So they would logically create an SE role specific to, say, Microsoft Office who can really make it fly. They might even assign certain SEs to become expert specifically on Microsoft EXCEL. Sometimes product managers are forced to support an individual sales rep even when qualified SEs are available. Why? The rep wants a better title on the call to impress the evaluator for one reason or another. 'You're so special I brought the product manager all the way out here.' (I have yet to find a customer who actually cares. They just want someone who can show how the product solves their problem. )The perception is that sales engineers are standard resources while product managers are special resources. Solution: create a special SE role to accommodate this problem. Create a new title for 'product expert' or (if HR freaks out) just appoint one of the SEs to the role without the title. The product expert is dedicated to the success of the product in a specific channel or territory. Bring them into the inner circle of product planning by participating in product teams as representatives of the channels. They will be in the planning loop and be exposed to the details that the channel often wants from the product managers. Sales people are trying to sell what is on the price list today; Product Management should be defining what should be on the price list next year. Don't get me wrong: sales calls are a necessary evil for many product managers. And you might accidentally get some good information from going on a sales call. Yet, the truly valuable information can only be obtained when Product Management is listening (and not talking). Learn more about listening to the market from Barbara Nelson's series of articles about market sensing featured in Volume 1, Issues 2 through 4 of productmarketing.com. 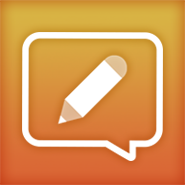 The company needs market information to make product decisions. Supporting the sales channel actually prevents many product managers from gathering relevant market information. We should create an environment that encourages sales engineering to support the sales tactics for today's product while Product Management defines the business strategy of the future product. Sales engineers are a critical role in technology companies. But good SEs can be made great by combining mentoring with specific product experience. Rather than general technologists, they should be expert in one product or line of products. Without this expertise, product management serves the role of 'best SE' while the sales engineers sit on the sidelines. Developers are often distracted from developing because they're inundated with requests from the sales channel. Do your developers go on sales calls? (The correct answer is, 'No.') While customer calls without a sales person are often valuable for better understanding of the domain, potential customer calls with a sales person are just another waste of a strategic resource on a tactical event. Create a chain of information flow, moving from least technical to most technical, and back. There are simply too many individuals who want some type of product support. This hierarchy creates a scalable flow of information through the organization into the channels. Sales engineers and the product experts are critical links in the hierarchy. Is Sales Becoming Marketing Technical Support?